1 Chronicles 12:16-18 Then some of the sons of Benjamin and Judah came to David at the stronghold. And David went out to meet them, and answered and said to them, "If you have come peaceably to me to help me, my heart will be united with you; but if to betray me to my enemies, since there is no wrong in my hands, may the God of our fathers look and bring judgment." Then the Spirit came upon Amasai, chief of the captains, and he said: "We are yours, O David; We are on your side, O son of Jesse! Peace, peace to you, And peace to your helpers! For your God helps you." So David received them, and made them captains of the troop. As David grew in stature those who stood by him increased in number, devoting themselves to fight with him. Though it was a time of adversity for David, and a time of warfare, he found that there were many willing to join their lives to his; "...a brother is born for adversity"; and "there is a friend who sticks closer than a brother". Again we note that David's anointing and his character made him a friend to many...and many became his loyal friends. 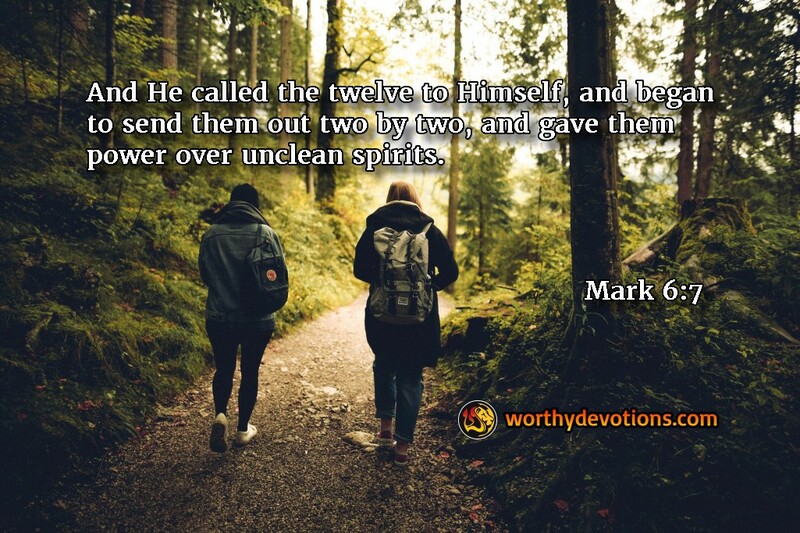 When Yeshua (Jesus) sent his disciples out, He never sent them alone -- He sent them two by two; and no doubt these pairs of disciples developed deep loyalty, unity and friendship as they proclaimed the kingdom and faced the powers of darkness together. How would you describe your friendships in the Body of Messiah? Do you feel isolated, fighting battles alone? Do you know others who are in that condition? With the battles now raging, it's more important than ever to be a friend, and to really know who your friends are. May the Lord grant each one of us loyal and faithful friendships as we fight the good fight. Are you a dead duck?